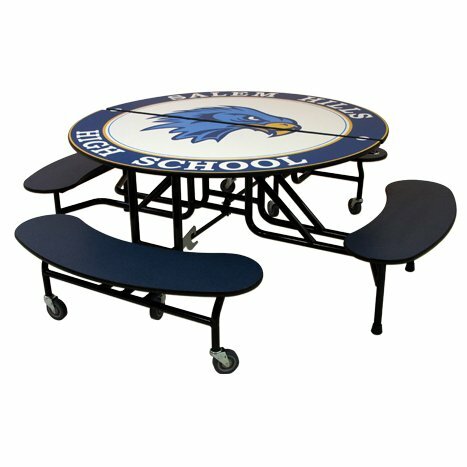 Center Latches are accessible from either side of the 59T Shaped Cafeteria Tables. Saves time – less walking around tables. Two-stage latches have safety stop and in use positions. Allows easier set-up positioning and clean-up. Wheelchair-accessible Models are 32” high with stool and/or bench seating. Access for two wheelchair users plus seating for six. Storage Latch secures table in upright position. Locks school table for storage or moving.